The langur, according to animal rights activist Sonya Ghosh, died after getting entangled in the branches of the tree. 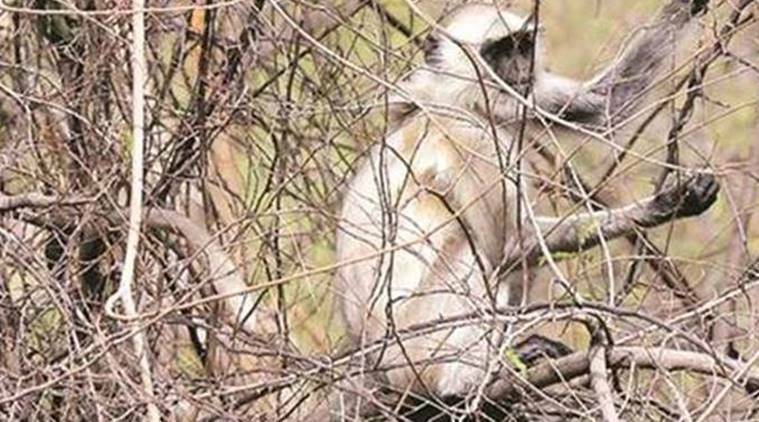 Tied to a tree with a rope on January 2 night, a langur (species Semnopithecus hector), allegedly engaged to ward off monkeys from Vasant Kunj, was left to rot after it lost its life on the job on Wednesday. The langur, according to animal rights activist Sonya Ghosh, died after getting entangled in the branches of the tree. Soon after, its body was packed into a gunny bag by its handler, and disposed of in the forest behind the residential colony. Under the country’s Wildlife Protection Act, 1972, the langurs are a protected species and cannot be used for any commercial purpose. Any violation entails a three-year jail term. Langurs are found in India, Nepal and Bhutan. A team of officials from the Delhi government’s forest and wildlife department visited Vasant Kunj on Wednesday. A post-mortem was also carried out. According to sources, however, since the body of the langur was not kept in a mortuary, it had started putrefying by the time the autopsy was conducted. Each year, dozens of langurs are rescued from the city by NGOs and rehabilitated. Their demand, however, keeps increasing as monkey menace refuses to abate.